If I knew every step needed to write and publish a book, I would never write a book! 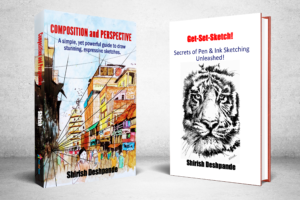 I learned many of the steps (and still learning) on the job and published my first book, Get-Set-Sketch!. 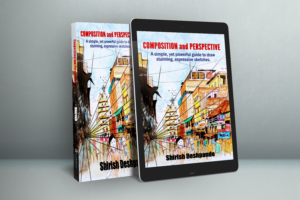 Following in the footsteps of “Get-Set-Sketch!”, my second book “Composition and Perspective – A simple, yet powerful way to draw stunning, expressive sketches” is available on the Amazon Kindle store. Both these books will be available (in print format) at heavy discounts in my upcoming art exhibition, सैरArt. Stay tuned!